A couple nights ago I put on black tights under my dress and put on a scarf and a sweater before leaving the house. Around midnight the rain started. I guess that means it’s fall. I’m not quite ready for it yet, to give up the beach and the warmth, but none the less I find myself looking longingly at apples and argyle sweaters and knitted blankets. I want to go apple picking and drink mulled wine and wear thick knitted socks and brown leather boots. 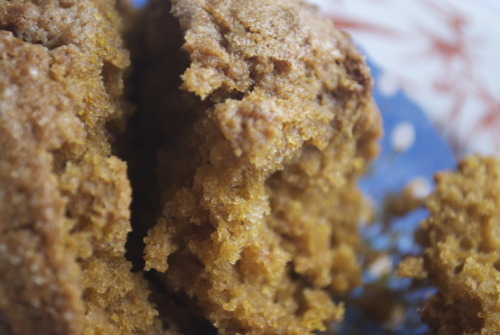 But instead, as I was by myself for the day without a car, or the budget to go boot shopping, I made pumpkin muffins. 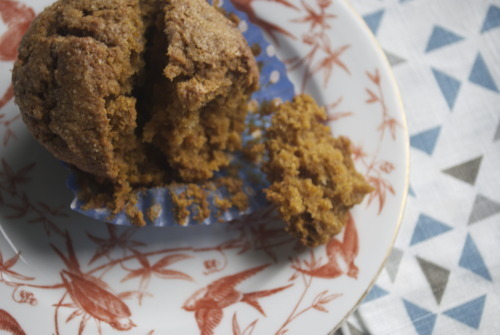 Soft, warm, buttery pumpkin muffins that long for hot chocolate and a good book. And with the rain pouring, sitting in my little apartment, I drank hot chocolate and finished my book, and welcomed in Fall. 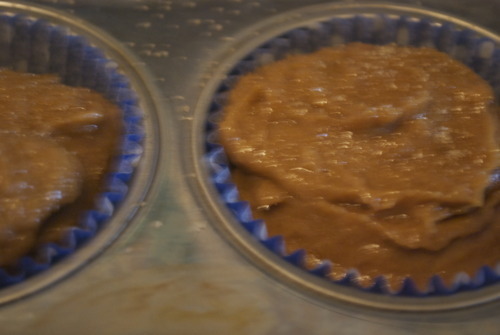 Line a muffin tin with liners of butter and flour them. 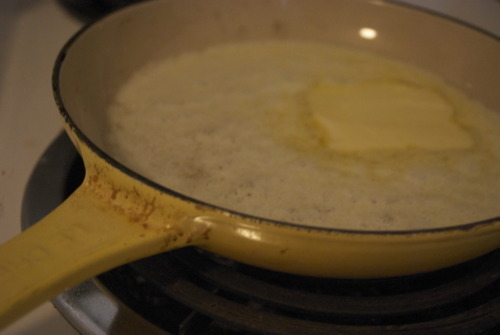 In a small frying pan over medium low heat brown the butter- melt it and then continue to cook it until the milk solids turn brown and it develops a nice hazelnut smell. Be careful not to burn it. Meanwhile measure all the dry ingredients into a large bowl and make a well in the middle. 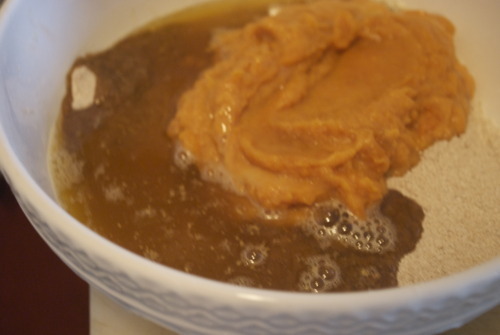 Pour the eggs and pumpkin and butter into it and mix it quickly to make sure the butter doesn’t cook the eggs. Mix until just combined- do not over work it. 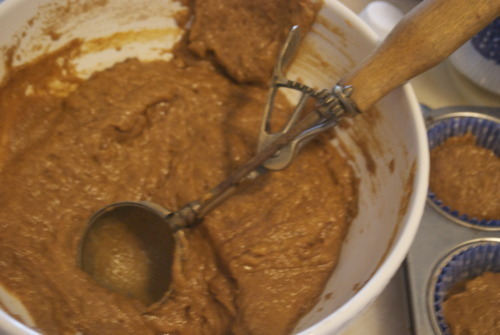 Spoon the batter into the tins, filling them up 3/4 of the way up. Sprinkle sugar on top, bake until an inserted skewer comes out clean, about 15-20 minutes.